Global News has a report today on information related to wind turbine noise complaints. 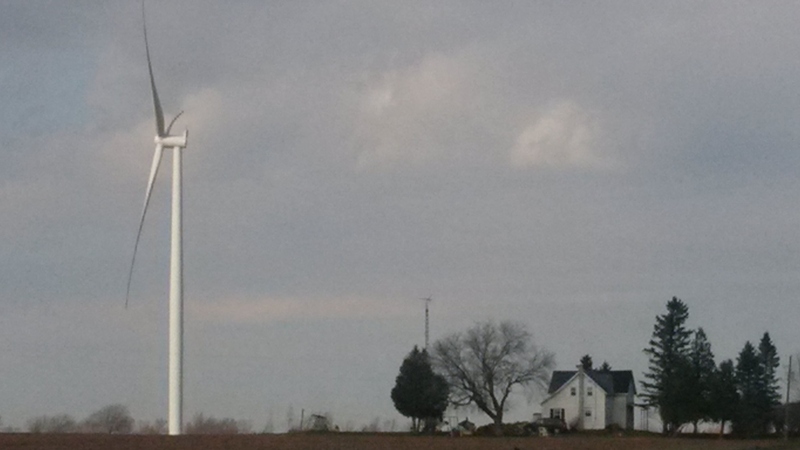 But that dream was shattered when wind turbines began popping up near their Goderich, Ontario home. Since then, their dream has become a nightmare. The couple says they’ve been unable to sleep and exposed to prolonged periods of annoying noise. Adding to their frustration, they say the provincial government won’t lift a finger to help them, other than order more tests. Read more here, and watch the story today on Global News. Two wind power projects have contracts but not Renewable Energy Approvals yet in the Ottawa area: the Nation Rise project in North Stormont (Finch, Berwick) and Eastern Fields in The Nation (St Bernardin, Casselman). Wind Concerns Ontario is recommending that approvals not be granted for these projects, and that new tougher noise standards be developed for turbines, and enforced.